Story in MMORPGs doesn’t have a great reputation. A lot of people think there are no MMOs with good story, and many others feel story is pointless in an online game, preferring the organic stories they make by playing with their friends. But I refute both positions. I think scripted story is a crucial part of the MMO experience. If I’m going to spend hundreds of hours in an imaginary world, it had better be a world that interests me, with characters I care about. Luckily for me, the field of MMO story isn’t as barren as some would have you think. Indeed, I think the persistent nature of an MMO presents unique story-telling opportunities. There are games out there that make plot a priority, and tell memorable and engaging stories through their evolving game worlds. 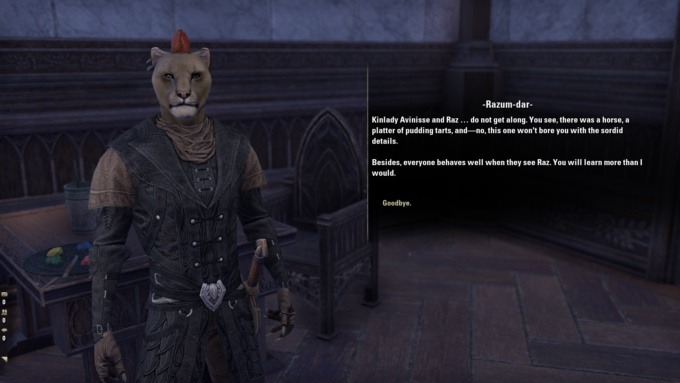 ESO’s story-telling can be hit and miss. Some of the stories are memorable — I particularly enjoyed the intrigue of the Thieves Guild DLC — but many are more shallow. However, I do give ESO credit for making story a priority. The game is overflowing with highly polished quest content, and the lion’s share of its DLC is devoted to new story content. Too many MMOs make story take a back seat to gear treadmills or competitive play. For ESO, story is a core part of the game’s identity, and that earns my respect even when the quality is inconsistent. There are those who say that Star Trek Online — and not Discovery or the recent movies — is the true successor to Star Trek’s decades-long legacy of story-telling. As someone who enjoys Star Trek but is kind of a snob about it, I’m not sure I would go that far, but I can say that STO makes a very admirable attempt to continue the legacy of Gene Roddenberry’s legendary sci-fi universe. The quality of writing may not be quite on par with the best of the TV shows or movies, but it is clear that STO’s devs are true fans of the franchise and that providing a good, solid story rooted in Star Trek’s rich lore and history is a top priority for them. That’s worthy of praise. STO is also one of the few MMOs that puts story first when it comes to designing content. The missions are not just standard kill and collect quests with the story in the background; the plot is a driving force for gameplay, and that adds a richness and depth to the experience that most MMOs lack. There’s more than one type of good story. Not everything needs to be deeply thought-provoking or emotionally profound. Sometimes it’s nice to just have a fun romp. 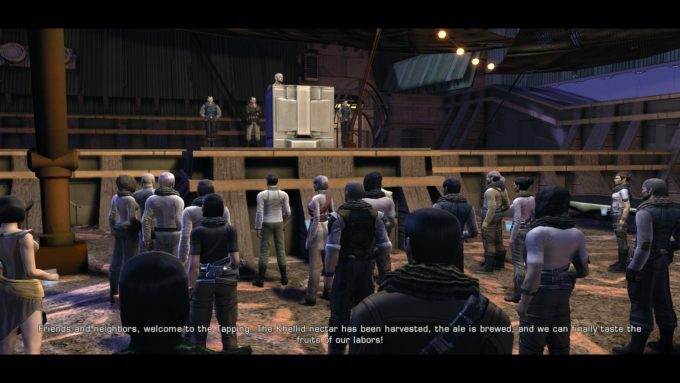 That’s exactly what the story in Defiance — and its reboot, Defiance 2050 — is. It might be a bit campy at times, but it’s never boring. There’s plenty of action, humor, and excitement to keep you entertained. It’s a good pulp adventure. The characters are very colorful, too, and unlike most MMOs, you stick with more or less the same cast of NPCs throughout the game, rather than cycling through an endless procession of throwaway nobodies, which gives you time to get attached to them. WoW’s story-telling has always been a tad… inconsistent, as evidenced by the rather mixed reaction to Battle for Azeroth’s story developments. Blizzard has only a loose relationship to continuity, and their devotion to the rule of cool has its dark side. But when they get it right, oh, man, do they get it right. The epic struggle of Wrath of the Lich King and the emotional journey of Mists of Pandaria are genuinely some of the best video game stories I’ve ever had the pleasure to experience. It also cannot be denied that the Warcraft universe is by now one of the deepest and richest settings of the MMO genre, or indeed all of pop culture. Entire volumes could be filled with Azeroth’s fictional history. 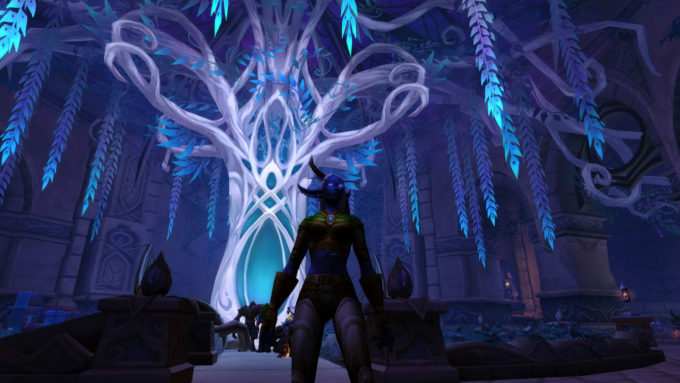 What makes World of Warcraft’s story special, though, is the sheer passion that goes into it. You can question Blizzard’s decision making at times, but you can never deny the love they have for their world and its stories. Every aspect of the Warcraft setting exudes color, personality, and intensity. More so than any other title, Star Wars: The Old Republic made story a selling feature, dubbing it the “fourth pillar” of game design. In the end, it may not have been the revelation for MMO story-telling Bioware had hoped for, but it does still rise above the pack, launching with eight unique stories for its various classes and adding some other impressive story arcs with its many expansions. 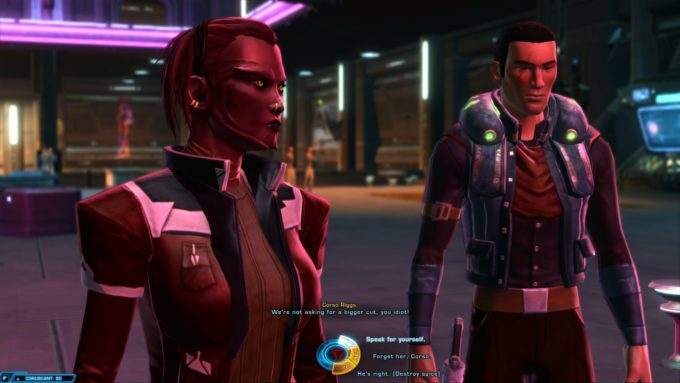 There are two things that set SWTOR above most other MMOs when it comes to story. One is the element of player choice. Rather than being a passive actor in the story, players are given freedom to control how their character speaks and reacts, creating a much deeper role-playing experience. Yes, the consequences for choices tend to be minimal, but it’s still far more than most any other MMO offers. The other is the depth of character provided by companions, a consistent strength throughout Bioware’s games. One of the main things holding back MMO story-telling is the shallow and disposable nature of most NPCs, but by keeping companions around for the long haul, SWTOR is able to foster genuine emotional bonds with the characters. 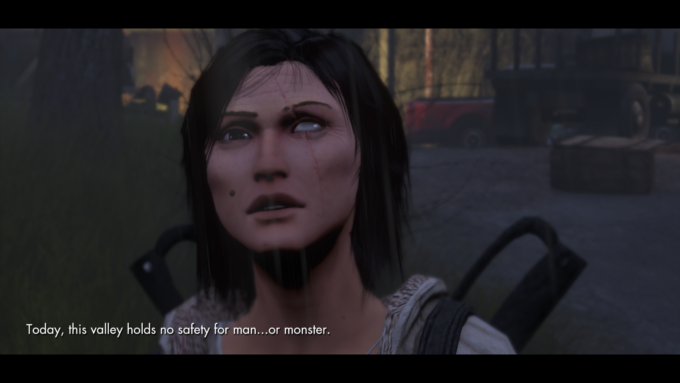 I have tended to be pretty critical of Secret World Legends due to how the transition from the original Secret World game was handled, but one thing that hasn’t much changed is the story. It was amazing before the reboot, and it’s amazing now. Secret World Legends’ story isn’t just good for an MMO. It boasts some of the best story-telling in any game, period. The characters are brilliantly strange and unusual, ranging from a mummified occult gangster to a pansexual rockabilly eco-activist to a blind werewolf elder. Each quest is a memorable story filled with pathos, suspense, and sometimes shocking twists. The world-building is second to none, seamlessly hybridizing numerous real world mythologies and conspiracy theories with the game’s own fiction. Diverse mission design incorporating stealth and puzzles also helps sell both the mystery and the dread of the setting. It’s not just a matter of reading quest text or listening to NPCs talk; the ambiance and character oozes from every aspect of the game. This entry was posted in General MMOs, MMO Game Design, MMO Opinions, Top X Lists and tagged Defiance 2050, Elder Scrolls Online, Secret World Legends, Star Trek: Online, Star Wars: The Old Republic, World of Warcraft on October 5, 2018 by Tyler Bro.